The Flying Martha Ornithopter, while sounding both Wallenda and DaVinci in name, is no relation to either. Instead, the wind-up bird is named after a famous Martha. Martha the...no, Snoop Dogg, not your girl Stewart. Martha the passenger pigeon. The last passenger pigeon the world ever knew. She died in the Cincinnati Zoo in 1914. Here Haptic Lab pays their respects, and gives those of us who still appreciate manual toys and simple acts of art a sweet gadget to play with in the process. Check out the GIF of Martha ornithopter-ing through the air. 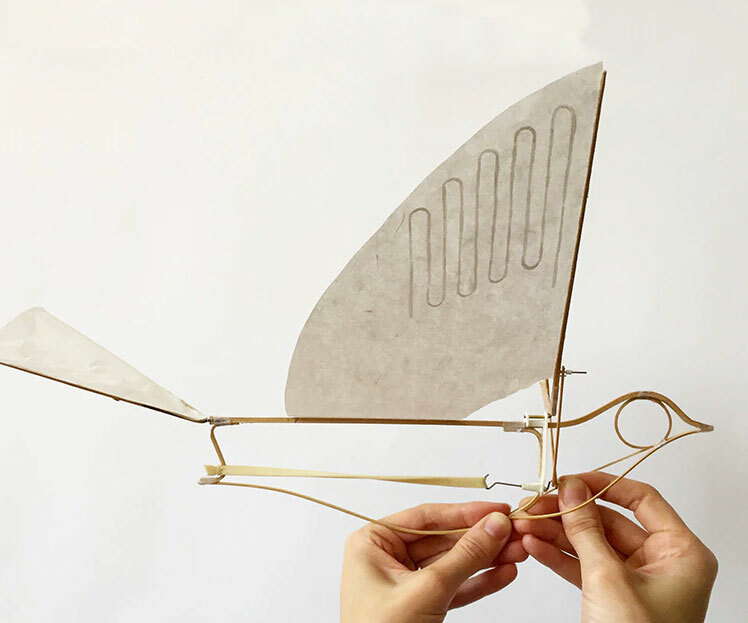 Haptic Lab, a group of kite artisans also responsible for the Sailing Ship Kite we saw a few years back, created The Flying Martha as a battery-free and - thank you - assembly-free piece of no-tech. 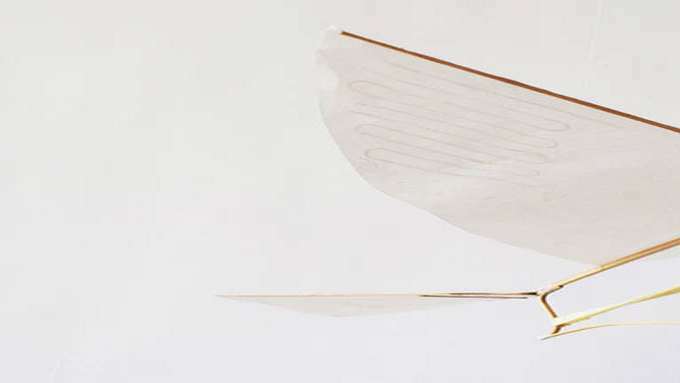 The charming bird is made of a bamboo frame, with mulberry paper wings and tail. Moving parts are brass and steel wire. All are powered by a natural latex rubber band engine. 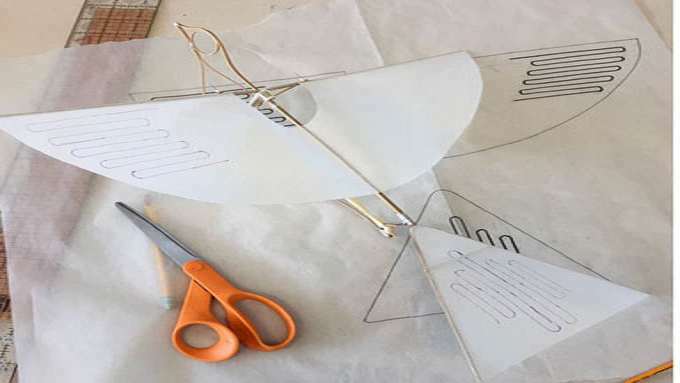 To fly the ornithopter, wind it up and release like you would a paper airplane. As her wings flap, they deflect air downward to produce lift. Like its passenger pigeon predecessor, the Flying Martha has a 16" wingspan. But it's much, much lighter at 12.5 grams (0.4 ounces) - the live ones were between 9.2 and 12 ounces - and also, according to Haptic Lab, about 6.5 grams lighter than similarly-sized plastic ornithopters. Learn more about Martha, and pledge to fly one of your own on Kickstarter through October 18, 2017.